Do you have a tendency to share your knowledge and experience with others? Do you enjoy giving advice that helps others better their businesses â¦ or their lives? Did you know that you could get paid just for sharing your expertise? While it may sound too good to be true, thatâs exactly what a consultant does. A consultant is an expert that provides knowledge, expertise, and training to others for a fee. Consultants advise their clients on a variety of topics, from how to implement the latest technology to how toÂ create a successful marketing campaign. Becoming a consultant does not require special training, credentials, or education. You simply need to be an expert in your field. You also need to have passion — not just for your industry but for helping others truly find the right solutions for their problems. Consultants are organized, know how to network, and are always willing to learn more about their field to provide the best services to their clients. If this sounds like you, becoming a consultant may be your new career path. The great thing about consulting is that anyone with knowledge and expertise can do it. Starting your own consulting business has low overhead costs and doesnât require a lot of capital from the get-go. In fact, you can even start your own business from your home office. But maybe your goals are much bigger. Maybe you want to have the top consulting firm in your area. It doesnât matter if you want to simply be your own boss and make a decent income or if you want to grow your business to epic proportions — this guide is for you. Weâll explore the steps you need to take to get your business off the ground. From finding your niche to funding expenses and spreading the word about your business, this guide explores what it takes to open and operate a successful consulting business. Letâs jump in and get started! Weâve all heard the saying, âJack of all trades, master of none.â When clients are seeking a consultant, they donât want someone that knows a little bit about everything. Instead, they want to work with a consultant that knows everything about one thing. This is why itâs so important to pick your niche. To get started, consider your skills and knowledge. What industry are you familiar with? Clients are looking for an expert in their field, so identifying the industries you already know is important when selecting your niche. Next, you need to consider what problems and pain points your chosen industry is facing. You can do online research to find out what challenges are common in this industry. Check out blogs and industry forums to get an idea of common complaints and problems. You can even talk directly with people in the industry to find out what obstacles and setbacks they face. Once armed with this information, you need to identify your own skills and knowledge that could be applied to this field. For example, letâs say youâre knowledgeable about the construction industry. One of the common pain points in this industry is a lack of communications. Are you familiar with mobile and cloud-based software? Great! You could use this knowledge to help businesses streamline communications and improve efficiency. When you start your consulting business, your goal shouldnât just be something generic like, âI want to help other business owners.â Instead, you should have a more specific purpose in mind. âI help businesses in this industry find and implement the newest and best software solutions to grow their business in just 3 months.â This also serves as your value proposition. In other words, this is the value you offer; something that sets you apart from other consultants. Remember to effectively communicate to your clients what you can do for them. After youâve selected your niche, do your research to find out what certifications and licenses you need to legally operate your business. In most instances, youâll find that a business license in your state of operations is all that you need to open your consulting business. One last thing to remember is that even if youâre knowledgeable about your niche right now, industry trends and changes can occur in an instant. Make sure you stay up-to-date on whatâs happening in the industry to ensure youâre always qualified to assist your clients. Even if your consulting business seems pretty straightforward, itâs still necessary to have a business plan. There are a few reasons you need a business plan. The first is that your plan maps out your goals and how you plan to reach those goals. A business plan is also necessary when you seek funding through banks or other lenders. Competitive Analysis: Who are your competitors, and what are their strengths and weaknesses? Before you launch your business, you have to register with federal, state, and local agencies. You will need to register your business name with the state in which you operate. In addition, you must register with the Internal Revenue Service to get an Employer Identification Number (EIN) if you ever plan to hire employees. It’s imperative to obtain licenses and permits to operate your business based on state and local regulations. You must register your business if you plan to seek business funding now or in the future — or if want to open a business bank account. Establishing a business is legally required, but it also makes you look more professional and legitimate to your clients. This structure is the easiest to form and does not require filing with the state. With a sole proprietorship, profits and losses from the business are reported on the business ownerâs personal tax return. The major drawback of this business structure is that the business owner â you â are held personally liable for the debts and obligations of the business. A partnership is established by businesses with two or more owners. There are three common types of partnerships: general partnerships, limited partnerships, and limited liability partnerships. General Partnership (GP): This type of partnership has the fewest ongoing requirements. These are also the easiest to form and donât require state filing. The drawback is that partners in a GP are personally liable for the debts and obligations of the business. Limited Partnership (LP): In a limited partnership, only the general partner(s) has unlimited liability. The other partners — known as limited partners â have limited liability. This simply means that personal assets canât be used to cover the debts and liabilities of the business. Limited Liability Partnership (LLP): In a limited liability partnership, all partners have limited liability. However, partners may be held liable for their personal actions. This structure is reserved for professional service businesses. A limited liability company, or LLC, is independent of its owners. The personal assets of the owners are kept separate from business debts. An LLC is taxed similarly to sole proprietorships and partnerships. If a corporation is the right structure for your business, there are two options to consider: C corporations and S corporations. C-Corporations: C-corporations are independent of their owners. There is no limit on the number of shareholders in a C-corporation. C-corporations are taxed on shareholder dividends and corporate profits. S-Corporations: An S-corporation is also independent of its owners. Owners report their share of the profits and losses on their own personal income tax returns. There are limitations to the number of shareholders with this structure. When choosing your business structure, you need to keep a few considerations in mind. If you have multiple owners, a partnership is a good route to take. If you want to protect your personal assets but donât want a higher tax rate, consider establishing an LLC. If you plan to raise large amounts of capital in the future, a corporation might work best for you. You can learn more about what business structure best fits your needs by consulting with an attorney or accountant. Business insurance is critical for the protection of your business. From property insurance that protects your office building to liability insurance that safeguards you from lawsuits, there are a few different types of business insurance to consider for your consulting business. If you operate a brick-and-mortar business, you need general liability insurance. This protects your business in the event that something happens to a client on your property. For example, if a client slips and falls in your office, they could file a lawsuit against you. With general liability insurance, you wonât have to pay all associated costs out-of-pocket. Professional liability insurance is also known as errors and omissions (E&O) insurance. This type of insurance protects you from lawsuits that may be filed by clients. Letâs say that you consult with a client on a project, and the project ultimately ends up failing. The client believes that the failure of the project was your fault and files a lawsuit. If you have E&O insurance, attorneyâs fees, settlement expenses, and court costs will be covered up to the full amount of your policy. If you have employees, workerâs compensation is another type of insurance your business needs. Workerâs compensation covers the medical expenses, wages, and legal fees of an employee that is injured on the job or suffers a work-related ailment. Most states require all W2 employees to be covered under workerâs compensation insurance, but laws vary by state. If you have a commercial property for your consulting business, consider getting commercial property insurance to protect your assets. This type of insurance protects you from losses that may occur from burglary, fire, or natural disasters. It may be tempting to simply use your own personal bank account and credit cards for your business. Since the business is yours, thereâs no harm in mixing your business and personal finances, right? Actually, the wisest move is to keep your business and personal finances separate. One of the most important reasons for doing this is because it will make filing your taxes much easier. Imagine that the deadline is ticking to file your return with the IRS, and you (or your accountant) are stuck spending hours separating business and personal records. If youâre audited after filing, having separate records for business and personal income/expenses will make the process go much more smoothly. Keeping your business and personal finances separate is also helpful in limiting your liabilities from creditors. If there is no clear separation between you and the business, creditors could potentially use your personal assets for unpaid debts and obligations, even if your business is structured as a corporation or LLC. Separation of personal and business expenses is also important for building your business credit. If youâre using your own personal credit cards, you may increase your personal credit score. However, this wonât affect your business credit history. If you plan on applying for business loans in the future, boosting your business credit profile is critical to qualifying for higher loan amounts and the best rates and terms. The first step to separating your business and personal finances is to open a business checking account. This bank account can be used for depositing money, writing checks to vendors, making online payments, and keeping an eye on the expenses and income of your business. To open an account, you will need your EIN, Social Security Number, business address, and business license. You may also need other documentation, such as a copy of the articles of incorporation on file with your state. Even though you can keep an eye on your finances through your business bank account, itâs also important to set up a dedicated accounting system for your business. This will allow you to closely keep track of the money coming in and going out of your business. You may opt to hire a bookkeeper for this task, or you can use accounting software to track everything yourself. Weâll go into more details on this type of software a little later. Finally, you can apply for a business credit card to cover recurring expenses for your business, such as your lease or utility payments. Using and paying off your business credit card responsibly will help strengthen your business credit profile. Unsure of which card is right for you? Start with these recommendations. The Chase Ink Business Cash card rewards you just for using your card on business expenses. You can receive 5% cash back on internet, cable, phone services, and purchases from office supply stores. However, this is capped at the first $25,000 spent each anniversary year. You can also earn 2% back on purchases at gas stations and restaurants. This is also capped at the first $25,000 spent per anniversary year. For the rest of your purchases, you can take advantage of unlimited 1% cash back rewards. As a new cardholder, you can receive a bonus of $500 cash back if you spend $3,000 within 3 months of opening your account. This credit card has a 0% introductory APR for the first 12 months. After the introductory period, interest rates are 15.49% to 21.49% based on creditworthiness. There is no annual fee associated with this card. Additional benefits for Chase Ink Business Cash cardholders include free employee cards, purchase protection, and extended warranty protection. You must have excellent credit to qualify for this credit card. Capital Oneâs Spark Cash Select for Business is designed for borrowers with excellent credit scores. One of the standout features of this card is the unlimited 1.5% cash back you receive just by using your card. You can cash out your rewards at any time. If you become a new cardmember and spend $3,0000 within the first 3 months of opening your account, youâll receive a $200 cash bonus. Youâll also be able to enjoy a 0% introductory APR for the first 9 months. After the introductory period, your APR will be from 15.24% to 23.24% based on creditworthiness. This card does not have an annual fee, and you can receive employee cards at no cost. One of the best things about setting up your consulting business is that you may be able to get started with very little capital. Ultimately, though, this depends on the goals of your business. For example, if you plan to only consult with clients online, you can work right out of your home office. This eliminates the need for a dedicated commercial office, which comes with expenses such as monthly rent and utility payments. On the other hand, you might want to open a brick-and-mortar business immediately. This would require more capital from the start. Even if you start small, you may later expand your business by purchasing or leasing a larger building and hiring employees. Whether you start off big or you plan to grow in the future, youâll need capital. In some cases, you may be able to use your revenue to fund your expenses and growth. In other instances, youâll need a financial boost from a business lender. Fortunately, there are many financing options out there if you know where to look. Letâs explore the types of funding available to you, along with our lender recommendations. If you would prefer to not work with a lender, using personal savings is an option available to you. If you use your own money, you donât have to worry about making payments to a lender. Youâll also save money because you wonât pay interest or fees that are charged by a lender. On the downside, if your business isnât successful, you risk losing your savings. Have a friend or family member with cash to invest? Pitch them your business idea and let them know why investing in you is a great idea. Have your business plan in hand and present your ideas to them just as you would any other lender. If they decide youâre worth the investment, make sure to get everything in writing to protect all parties. There are two ways to get loans from someone you know. You can choose debt financing, which means that youâll make payments toward your principal balance plus interest on a regularly scheduled basis, just like a traditional loan. Or you can receive money in exchange for ownership in your business â also known as equity financing. While you wonât have to repay immediately, your friend or family member will collect a share of the profits over time. Depending on your agreement, they may also have some level of control in the decision-making process of your business. Unsure of which route to take? Learn more about debt vs. equity financing to determine which option is best for your business. What if there was a way to get the capital you need to start or grow your business without taking on debt? Sounds too good to be true, doesnât it? But with a rollovers as business startups (ROBS) plan, you can do just that. The only catch? You have to have a qualifying retirement plan. Early withdrawal of your retirement funds results in penalties. However, a ROBS plan allows you to leverage your funds without having to pay these penalties. With a ROBS plan, you set up a new C-corporation. Then, you create a retirement plan for your newly created corporation. Next, you roll over funds from your existing retirement plan. These funds can be used to purchase stock in your new business, providing you with the capital you need to start or expand your business. The best part of a ROBS plan is that youâre using your own funds. This means no debt, no interest or fees, and no repayments to a lender. However, you are putting your retirement funds at risk if your business fails. Many small business owners that get capital through a ROBS plan hire a ROBS provider to do the heavy lifting. Guidant Financial is a ROBS provider that can help you get started. You can use your funds for any business purpose, whether youâre buying an existing business, funding startup costs, or paying expenses related to expansion. To get started, you must pay a $4,995 startup fee. Since this isnât a loan, you wonât have to make debt repayments. However, you will have to pay a monthly administration fee. If you donât qualify for a ROBS plan or youâre seeking other types of funding, Guidant Financial offers other options including Small Business Administration (SBA) loans, unsecured business loans, and equipment leases. A line of credit is one of the most flexible forms of financing. This is a type of revolving credit (similar to a credit card) that allows you to make multiple draws. As you repay your principal balance (plus fees and interest), funds will become available to use again. Fees and interest are only charged on the borrowed portion of funds. With your line of credit, you can initiate draws as needed. Once you draw funds, theyâll be transferred to your bank account and are available to use in 1 to 3 business days in most cases. You can spend up to and including the credit limit set by your lender. Most lines of credit can be used for any business purpose but are particularly useful for unexpected expenses, filling revenue gaps, or covering extra expenses due to a seasonal increase in business. Fundbox is a lender that has lines of credit up to $100,000 for qualified small business owners. The lender charges set draw fees starting at 4.66% of the borrowing amount. You can choose to repay Fundbox over terms of 12 or 24 weeks, and payments are automatically deducted from your linked business checking account. You can be approved instantly and put your line of credit to work for you immediately. Once you initiate a draw from your account, funds will hit your bank account within 1 to 3 business days. Your credit limit will be based on the performance of your business. Whether your consulting business is home-based or you operate out of a commercial property, you will need some equipment to get started. Some equipment you may need for your business includes a computer, printer, office furniture, and computer software. If you donât have the funds available in your bank account, consider applying for equipment financing. Equipment financing is a type of funding used to purchase equipment, furniture, and fixtures for your business. Equipment loans can also be used to purchase a commercial vehicle if one is needed to drive to meet your clients if you don’t want to take out an auto loan. There are two types of equipment financing available: equipment loans and equipment leases. With an equipment loan, youâll make regularly scheduled payments to a lender over a set period of time, such as five years. Each payment will be applied to the principal â the amount you borrowed â as well as fees and interest charged by the lender. Once youâve made all payments as scheduled, the equipment belongs to you. You can continue to put the equipment into use or sell it. With equipment leases, you also make scheduled payments to a lender. However, your lease terms are typically a few years shorter. Once youâve made all scheduled payments, you return the equipment and sign a new lease for new equipment. You never truly own the equipment, but this is a good option for anyone that wants to update their equipment every few years. Lendio isnât a direct lender. Instead, itâs a loan aggregator that can connect you with its financing partners to help you get the best financing offer for your situation. One of the financial products offered through Lendio is equipment financing. You may qualify for funding of $5,000 to $5 million for the purchase of your equipment. Loan terms are 1 to 5 years with interest rates starting at 7.5%. Your funds can be used for almost any equipment purchase, including software, furniture and fixtures, and even appliances and HVAC units for your office. If you donât meet these requirements, Lendio may still have an option for you. Just fill out a quick application to find out what you can qualify to receive. Lendio also offers additional financial solutions, including SBA loans, lines of credit, term loans, and startup loans. If youâre a brand-new business, you may not qualify for other financing options. This is because lenders look at annual revenue, business credit profile, and your time in business to determine if youâre a risky borrower. If you donât meet these qualifications, you wonât be able to get affordable small business funding. However, there is an alternative solution. You can apply for a personal loan to use for business purposes. With this type of financing, a lender considers your personal credit history and income to determine if you qualify. In most cases, you can use a personal loan for business for any purpose, from purchasing needed equipment to hiring new employees, using as working capital, or paying startup costs. Upstart personal loans are available in amounts from $1,000 to $50,000. APRs range from 7.54% to 35.99%. Repayment terms are 3 or 5 years. Upstartâs lending partners consider more than just your credit score when determining whether to approve your loan. Your years of credit, education, area of study, and job history are also considered during the application process. Weâve already discussed business credit cards earlier as part of keeping your business and personal accounts separate. Business credit cards are great to have on-hand for unexpected expenses or recurring expenses for your business. You can even score rewards just for using your credit card. Look for a rewards card that offers cash back or points to use toward perks like travel to get the most out of your card. Capital Oneâs Spark Classic for Business card is available to business owners with average credit. This card offers a 25.24% variable APR and no annual fee. Using your card responsibly helps build your business credit profile so you can qualify for other cards and financing offers in the future. You can earn unlimited 1% cash back on all purchases with no minimum required to redeem. Other benefits include fraud coverage and alerts and employee cards at no additional cost. Choosing the right business software can help you run your consulting business more efficiently. The first type of software you should invest in is accounting software or an online bookkeeping system. This allows you to keep track of your income and expenses, run financial reports, send invoices, and access your financials for tax purposes. As your business grows, you may opt to hire a bookkeeper or accountant, but in the beginning, you may be able to tackle this task yourself using the right accounting software. New to accounting? Download our free ebook, The Beginner’s Guide to Accounting, to get a handle on the basics. Youâll also need software thatâs used for managing clients — from keeping updated contact information all in one place to setting and tracking appointments. There are programs designed specifically for consultants that offer client management, project management, tasks, and other features. To accept payments other than cash, youâll also need payment processing software. This software communicates between your bank and the bank of your client, allowing you to accept debit cards, credit cards, and other forms of payment. If your business is going to be based solely online, you can sign up for an online payment solution. Finally, if you plan to do online consulting, you must invest in video conferencing software. There are multiple options available — some at no cost and others that charge a monthly fee. In order for your business to be successful, you have to have revenue. Without revenue, you wonât be able to pay your expenses or the salaries of yourself or your employees. Without revenue, you also wonât be able to grow your business. To make sure your business is successful and profitable, you need to set your rates. This can be a balancing act for most consultants. If you set your rates too high, it may scare away potential clients. If you shortchange yourself and set your rates too low, clients may not take you seriously or you might not bring in enough revenue to cover your expenses. To set your rates, first decide how your pay structure will look. You have three options: per project, hourly rates, and retainers. If you charge per project, you will need to figure out how long the project will be, what expenses may be incurred, and other factors. You may choose to bill for the entire project or break it down into monthly payments. You can also charge an hourly rate. Take a look at your expenses and determine how much you would need to charge to be profitable. Also, be aware that the higher your rate is, the more your clients will expect from you. If you have the credentials, training, and education to justify charging $500 per hour, your clients will have high expectations of what youâll provide. Finally, you can also work on a retainer basis. With a retainer, you will work a specific number of hours for one set monthly fee. When calculating your rates, make sure to list all of the expenses of your business. You will need to make at least enough revenue to cover these costs. You also need to find out what your competitors are charging for their services. You can do this by going online to their websites, checking out their brochures, or making a quick phone call. Unless you have an obvious advantage over other consultants in your area, you want to make sure that your fees are competitive. Prospective clients are going to have a difficult time finding you if you donât have a web presence. This doesnât mean that you have to invest thousands of dollars in setting up a fancy new website. However, you do need to have at least a basic website and social media profiles to provide clients with critical information about your business. You can get started by setting up free social media pages on sites including Facebook and Twitter. Your pages should include your contact information, the services you offer, and office hours. As your business grows, you can post news and updates, videos, photos, and other media to draw in clients. You also need to set up a company website. You could pay a web designer, but at this stage, you can certainly tackle the task yourself. Easy website builders make it simple to set up your website in just minutes, even if youâve never created a website before. Make sure that you include your contact information, areas served, and the services you offer. If you have any credentials or training, add that information to your website, as well. Later, you can add additional features to your website, such as videos, online appointment scheduling, and client testimonials. If you want to learn more tips and tricks, check out our article on creating and maintaining your online presence. Building your web presence is one way to get your name out to the public, but you should also implement a marketing and advertising campaign to further boost your business. The strategy you choose is based on a number of factors, including your marketing budget and your goals for the campaign. One great way to market your business is through Facebook ads. You can easily set your budget and select your target audience. It only takes a few minutes to get your Facebook ads up and running. Learn more about social media marketing for your business. Another advertising method you can use is a newsletter. Your newsletter doesnât need an over-the-top design. Instead, a simple newsletter with important information is most effective. Use your newsletter to discuss current industry trends, current news about your business, and other relevant information. You can send a physical newsletter by mail, but this comes with costs including paper and envelopes, printing, and postage. A more affordable option is to offer an email newsletter. Make sure to include a sign-up option on your website and social media pages. Another idea is to print up brochures for your business. Your brochure should include your services, your value proposition, the industries you serve, and biographical information, such as your credentials or training. You can also take your knowledge and leverage it as a guest speaker at an event. You can speak at dinners, luncheons, and other functions for industry events or service organizations. If you donât want to be a public speaker, you can attend industry events and network with potential clients. Networking is key to running a successful consulting business. Cold-calling is also a way to attract new clients. Prepare your script before calling local businesses that could use your services. The goal of cold-calling is to get a meeting with the decisionmaker to sell yourself and your services to gain a new client. Finally, word-of-mouth advertising is one of the easiest ways to bring in business. Satisfied clients that tell their friends, family, and colleagues about you or who take the time to write a referral or testimonial that you can use on your website can help drive more clients to your business. Sharing your knowledge and expertise with others can be extremely lucrative if you know how to set up your consulting business. With careful planning — selecting your niche, setting your fees, and effectively marketing your business — youâll have a better chance of reaching new clients and meeting your financial goals. Good luck! The post How To Start And Fund A Consulting Business: The Step-By-Step Guide appeared first on Merchant Maverick. When you think of Vistaprint, you probably think of business cards — which is what the company is known for and has been since their founding in 1995. But did you know Vistaprint offers other marketing materials for small business owners — like a website builder? You probably do know that, because you are likely in the middle of checking out and got their website builder offer. And you thought “is the Vistaprint website builder actually good?” And so, you stumbled on this post. Well I thought the same thing while buying a few business cards. So, I went ahead and gave Vistaprint a try for a small project for a full Vistaprint Website Builder Review. But before I get into the pros and cons of my review, let’s get a bit of background on building a website in general. There are so many considerations to take into account when choosing a website builder — and really, there are a thousand ways to get what you want in the end in terms of functionality, convenience, pricing, etc. The thing to remember is: whether you’re building a simple personal website or running a business, the way you build your site has a lot of consequences. What Is Vistaprint Website Builder? On the wide spectrum of website building solutions, VistaPrint lives on the end that is all-inclusive and provides everything you need to get started and grow your website. It contrasts with solutions where you buy, install, and manage all the “pieces” of your website (ie, domain, hosting, software) separately. I wrote a post on Website Builders, Explained for more background. Using Vistaprint is sort of like leasing and customizing an apartment in a really classy development instead of buying and owning your own house. You’re still in control of decor, cleaning, and everything living-wise – but you leave the construction, plumbing, security, and infrastructure to the property owner. That point is key because there’s usually a direct tradeoff between convenience and control with all software, but especially with website builders. Everything may fit together just right with a website builder like Vistaprint, but that may or may not be what you’re looking for. As far as competition, Vistaprint competes with all-inclusive hosted website builders like GoDaddy, Site123, Weebly, Wix, Squarespace, Gator, WordPress.com, and others. Compared to their direct competition, they focus on speed and ease-of-use to cater to small business owners with little website experience, and rely heavily on their existing customer base when promoting their website builder product through customized marketing (more on that in a bit!). Instead of operating like a traditional drag-and-drop website builder, Vistaprint uses website “blocks” that you can drag and drop into your template to customize it. They also offer a “done-for-you” service where they’ll handle creating your website for you. It’s an incredibly intuitive platform, making it a great choice for DIYers who need to create a website quickly without having any website experience. Duda is known as an all-inclusive website builder that was originally created as an easy-to-use mobile website platform for DIYers. It has sinced evolved to help agencies, digital publishers, and hosting companies scale with an quick and easy website platform that helps their clients get up and running ASAP. Duda is also known for making responsive websites, which means the site fits on any device (i.e. a tablet, phone, computer). Recently, I gave Duda a try for a full Duda review. But before I get into the pros and cons of my Duda review, let’s dive into an overview about tools to build a website. On the wide spectrum of website building solutions, Duda lives on the end that is all-inclusive and provides everything you need to get started and grow your website. It contrasts with solutions where you buy, install, and manage all the “pieces” of your website (ie, domain name, hosting, software) separately. Using Duda is sort of like leasing and customizing an apartment in a really classy development instead of buying and owning your own house. You’re still in control of decor, cleaning, and everything living-wise – but you leave the construction, plumbing, security, and infrastructure to the property owner. That point is key because there’s usually a direct tradeoff between convenience and control. Everything may fit together just right with a website builder like Duda, but that may or may not be what you’re looking for. As far as competition, Duda competes with all-inclusive website builders like Weebly, Wix, Squarespace, Gator, GoCentral, Jimdo, and WordPress.com. Compared to their direct competition, they focus on speed, ease of use, and responsive design (again, web jargon for making your website mobile device-friendly). Duda offers several website templates you can customize, but it also allows you to build your own sections from scratch, making it a solid solution for both DIYers with zero website experience and those who consider themselves a bit more advanced. Duda also skews its marketing toward agencies, digital publishers, and hosting companies with features like content import, PageSpeed optimization, site personalization, and more (but we’ll get to that later!). Here’s what I found to be the pros of using Duda website builder — not just in comparison to popular builders like Weebly and Wix, but as an overall website solution. One of Duda’s biggest pros is that they let you try the platform, risk-free, for 30 days. You don’t even have to put a credit card when signing up — you just create an account and get building. Duda doesn’t restrict your access to any of the features they offer when using the free trial option — it’s as if you’ve bought a plan and are already up and running with them. This is a great feature if you’re looking to test out a website builder before committing. The thing to keep in mind here though is that the free trial gives you the features of Duda’s mid-tier plan, which includes things like team functionality, content import functionality, etc. If you were to downgrade after your 30 days, you would lose those features. Not a big deal if you’re not using them, but could also be time wasted if you do use them and then have to make drastic changes to accommodate the new plan. Another pro of using Duda is how easy it is to get up and running on the platform. It’s basically just one step — enter your information to create your account, and you’re in! Again, if you’re using the free trial, you don’t even have to pull out a credit card. Duda is also seriously simple to use, which makes it hard to mess up your website design. Once you choose a template, entering your own content is super straightforward. But Duda also combines ease-of-use with flexibility by offering pretty extensive design options. For example, by clicking the “plus” sign, you can add new, pre-made sections to the templated pages you’ve selected. Or, you can create your own section from scratch. This makes Duda a great option for both DIY-ers who want something that’s easy to customize and those who want to add their own design elements without having to hire an experienced designer and developer to make it happen. Another benefit of Duda is their integrations. First, Duda offers hosting on AWS (Amazon Web Services), which can be both a pro and a con depending on where you fall on Amazon. The pros are that your site can and will still go down (it’s inevitable), but if you’re down, then big brands like Uber, AirBnB, Amazon, Reddit, etc. are down too… which means whatever is causing the downtime is likely to be fixed very quickly. Your site also has access to the best security and storage and speed people in the world. But the cons are that since your hosting is bundled with Duda, you can’t actually access your files except through Duda (*although Duda does provide a data export). There’s also a chance that pricing changes on the AWS side will affect pricing with Duda. And of course, there’s some people who just don’t want to buy from Amazon… so if you’re in that boat, Duda probably isn’t for you. Aside from offering DNS and hosting services, Duda also offers some pretty advanced functionality built in to its platform, like access to your website’s HTML and CSS, eCommerce functionality, content import, etc. This additional functionality gives Duda a unique edge, because it builds in more control while still giving customers the convenience of an all-in-one platform. Typically, these types of website builders see a tradeoff between convenience and control, but Duda does a good job of giving you a decent dose of both. Just remember that not all of these features are available with all plans, so make sure you do your research. While this pro is only available with the mid-tier plan and higher, it’s a pretty solid benefit. Duda features the ability to work with your team on your website, which means you can leave comments on the design of the website for your team to review. This is functionality is pretty nifty if you’re a small agency, business owner with a team, or even a solopreneur who wants a designer to build your site in Duda but YOU want an easy way to leave comments. But of course, no review would be complete without looking at the downsides. Every piece of software will have complaints. Let’s look at the specific cons I found with using Duda as your website builder. While Duda has a lot of amazing features, they are on the pricier side, especially when you start comparing features across their plans. For example, if you wanted a basic plan, you only have access to email support, and if you were creating an ecommerce store with a basic plan, you could only have ten products. When you dig a bit deeper, you can see that a good bit of functionality is reserved for Team and Agency plans, especially when it comes to Team Collaboration. And when it comes to Duda’s features that give you the most control over your website, like widget builder, website export, and API, those are reserved only for the Agency plan. Related to pricing, another con of Duda is its free 30-day trial. Don’t get me wrong — having the ability to use Duda’s awesome features for 30 whole days is great! But as I mentioned above, the trial uses the Team plan… which means if you don’t want to pay a higher price point, you’re going to lose a few features and functionality when you move your website to the basic plan. There also isn’t a free plan for those who just want a basic, short-term website that uses a subdomain. This isn’t a make-or-break con, but it just depends on what you’re looking for. If you need an ultra basic website builder for a short project, you may be better off with a different website builder that’s either less expensive or offers a free plan, no strings attached. Duda is a private, venture funded company. They are based in Silicon Valley with venture capital partners. They’ve done several fundraising rounds since 2010. Venture-funded companies typically want 1 thing – growth. Sure, they want to make money at some point, but that will usually be at the “liquidity event” (ie, a stock market IPO or company purchase) – not with quarter by quarter profits. In fact, most venture-funded firms will deliberately lose money if that means growing their customer base. So what are the tradeoffs? The huge upside is that Duda’s customers will probably get more features, better support, and cheaper pricing than they would otherwise get. The venture capitalists are subsidizing your awesome product. The huge downside is that Duda’s business model could change (e.g., “pivot”) at any moment. They want customers and revenue – but they want to follow the growth of customers more than anything else. A publicly traded is solidly committed to their market strategy. A non-investor funded but private builder like InMotion’s Website Creator is responsive to the founder’s vision and customer demands. If you are an agency or hosting company – this is great. And if you are building a short-term project, it’s great. But if you are planning a long-term site, you should keep in mind that their product development might shift away from DIY features and more to project management features. Duda certainly makes getting a website up and running easy, and when you factor in their advanced features that give you more control, it makes the platform a pretty solid website builder for small agencies and even DIYers who need something that’s easy-to-use but can also scale. Check out Duda’s plans here. 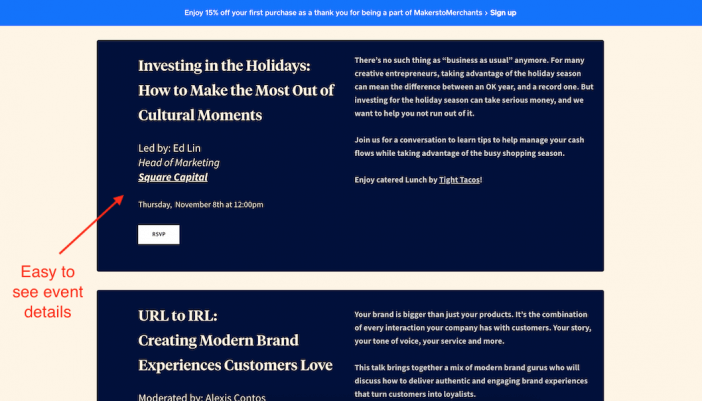 However, like most all-inclusive website builders, there does come a point where there’s a tradeoff between convenience and control, especially when you factor in price. Duda’s pricing (and market positioning) leaves something to be desired, especially when you get into the higher priced plans. If you’re looking for a website platform that has that many advanced features that allow you to control more of your site, you’d probably be better off with something like Wix for a drag & drop builder or using a self-hosted website builder like Website Creator or Weebly if you want an ecommerce component. Not sure Duda fits your needs? Check out my quiz to find what the best website builder is for you based on your preferences. The post Duda Website Builder Review: Pros, Cons, and Alternatives appeared first on ShivarWeb.